There’s more to New York, you know, than land. New York has 2,625 miles of shoreline, according to the experts, and there are water adventures for every one of them. With summer fast approaching, you will soon remember that we humans are not meant for land alone. When that day comes, and you and your family are clamoring for relief from the heat, you will be glad New York has you covered—or surrounded—with water. Here’s how you can have a blast in your bathing suit. Thomas Jefferson, our third President, once wrote, “Lake George is without comparison, the most beautiful water I ever saw.” See the beauty he was talking about as you hang on to a roaring speedboat, swishing past on a pair of water skis. Or hop the boat’s wake on a wakeboard, pull a backflip, and vanish in a well of carved-out water. At Lake George, people of all ages and skill levels can spend the summer behind a powerboat waterskiing, wakeboarding, or tubing. The Adirondack Waterski and Wakeboard School will get you all set up. Surfing is about the most intense thing you can do on water. How could it be more intense? By lifting off, too. Kitesurfing is an emerging sport that combines windsurfing with flight. Skim across the water using a kite for a sail, and then use it to make huge vertical leaps. It’s the watersport equivalent of walking on the moon. And you can try it out just an hour from New York City on Long Island’s Great South Bay. The NY Kite Center offers lessons, rentals, and equipment for sale. Definitely check out the photo gallery. The only thing rushing faster than the whitewater in the Thousand Island region’s Black River is your adrenaline as you paddle furiously through the Class 3 and 4+ rapids. That’s about as rapid as they get. Start in Watertown and settle in for an 8 mile, 4 hour adventure. The water is highest and fastest in late spring and calmer in the summer, so plan accordingly. 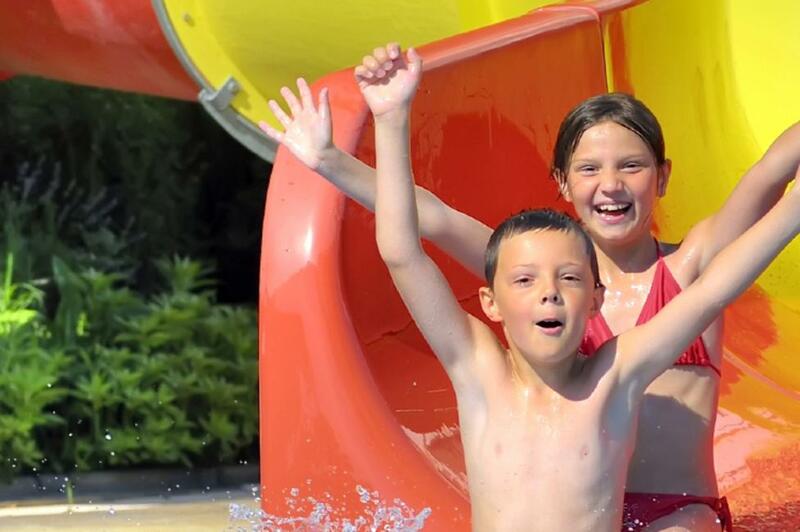 Rollicking water adventures are extreme fun, but if you want perfect serenity, relaxation, and rejuvenation, head to Saratoga Springs. So called for the famed mineral springs that bubble up from a geological fault, the town has attracted spa-goers and health-seekers for two centuries. You can book luxury massage treatments in town or in Saratoga Spa State Park, where there are also pools and waterslides. Remember to bring some spring water home with you! If water’s what you want, Niagara Falls has lots of it—150,000 gallons per second, in fact. That is, we hasten to add, more than your fragile bones can handle all at once, so don’t plan to float over the falls in a barrel. What you can do is catch glorious gallons of spray from the cascading river. 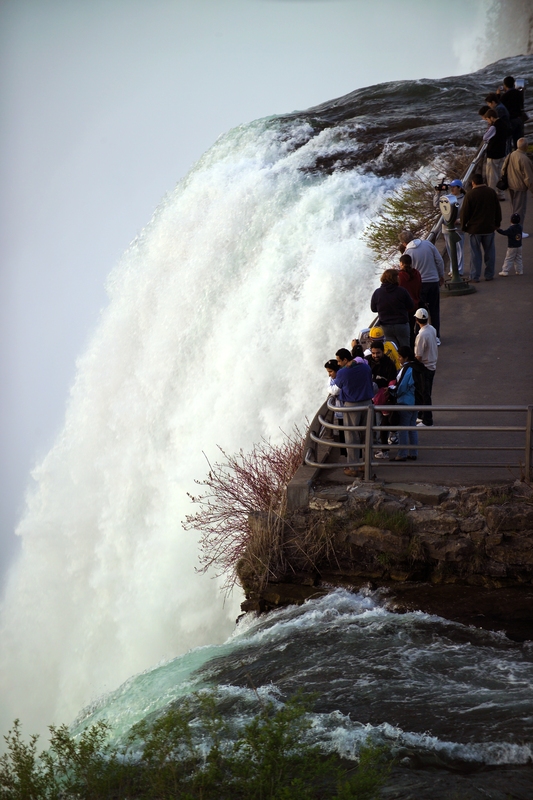 Take the Cave of the Winds tour and hike near the base of Bridal Veil Falls, or boat around the bottom of the gorge in the famed Maid of the Mist. There’s no more gorgeous way to get soaked. And Niagara Falls is only the most famous set of waterfalls in New York. Did you know Taughannock Falls, at 215 feet, is the highest single-drop waterfall east of the Rockies—higher even than Niagara Falls? Or that Letchworth Falls cascade down through the “Grand Canyon of the East”? See them—and more—here. If you’re out of the water long enough to take some snaps of surf and spray, share them on instagram using #ispyny!